Every year we organise a ceilidh to get together with all the people we've played for and danced with during the year. This year we're at the Guildhall School of Music Bar, and a great night it promises to be. We'd love to see some of you there. For those of you who like a good folkie weekend, it would tie in nicely with the Young Folk Award Finals being held the night before, also in London. 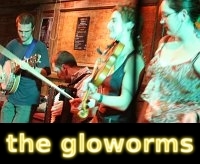 The Basement Bar in Guildhall School of Music, Sundial Court, EC1Y 4SD nr Barbican/Moorgate tubes. Map.